Communications Solutions for Manufacturing | 8x8, Inc.
How do today’s leading manufacturers consistently deliver high-quality customer service? By investing in technology that empowers contact center agents. 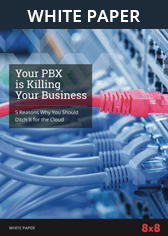 Modernizing outdated business phone and call center systems boosts productivity and reduces costs by 30% — learn how cloud communications are better for your bottom line. Successful manufacturers commit to being customer-centric and carry this through to every interaction. Learn about the contact center technology leading companies use to future-proof their business and get the latest insights on what’s next in contact center innovation from McGee-Smith Analytics. Outdated communications technology prevents manufacturers from meeting their revenue and innovation goals. Instead of managing multiple vendors, roadmaps and integration points, companies can arm employees with one system of engagement that integrates voice, meetings, team messaging and contact centers to provide complete context for each interaction across different communication channels. To support global expansion for distinct manufacturing and sales operations, RPM Performance Coatings Group needed to replace a network of local Nortel hardware-based PBXs with a reliable cloud solution. 8x8’s all-in-one platform for voice, video and contact center unified all sites on one telephony platform, for guaranteed call quality, accelerated time to market and uninterrupted worldwide service. Contact an 8x8 Solutions Expert today to learn how 8x8 keeps manufacturing companies connected and collaborating. With increased visibility into call center KPIs, we’ve made changes that reduced call answer times by 15% and resulted in an approximate 60-70% reduction in our call abandonment rate.